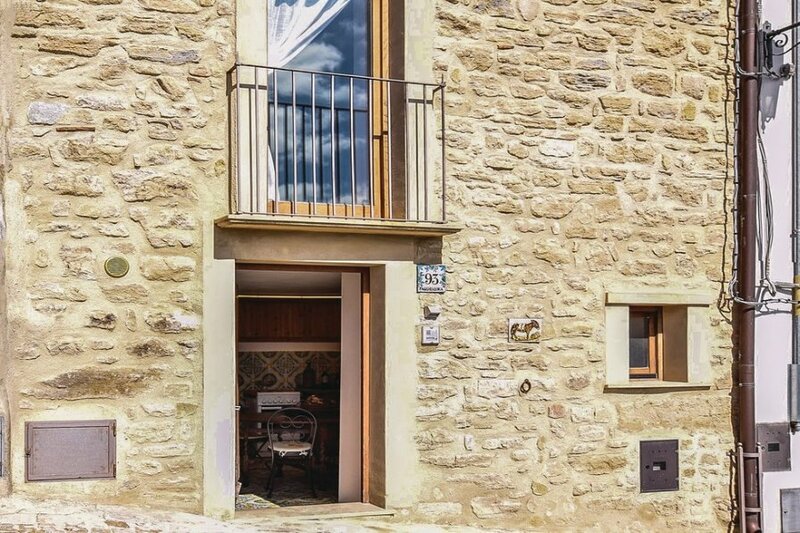 Cosy holiday apartment in a terraced house in Gangi, one of the most beautiful villages of Italy in the province of Palermo, along the Via Francigena in Sicily. Rustic but functional furniture. Great view over the surrounding landscape from the terrace: in the sunniest days you may see at the distance the Etna Volcano. Gangi is on the Madonie Regional Natural Park- the first adventure park of Sicily where both adults and children can experience intense emotions immersed in a natural site. There are lots of activities to practice: tree climbing, archery, trekking, Nordic walking and mountain bike. For art and culture enthusiasts, Gangi is rich in history and monuments to visit like the imposing Torre del Ventimiglia, the Castle, Palazzo Sgadari. Do not miss some folkloristic and traditional events: the living crib, the concert of the bells at Christmas time and the festival of the spike which recalls the ancient rural life together with the pagan mythology. The agent has rated it as a three star property so it is a well-kept villa, equipped with standard furniture. It is also good value for money. This villa has view over the landscape; it is also only 5 metres from Gangi. It is set in a good location: there is a restaurant only 200 metres away. You can also park on-site at no extra charge. The villa is adequately equipped: it has a refrigerator and microwave.